Financial literacy is something that so many of us today are missing. While it used to be taught in schools as a basic life skill, it seems that we’ve lost touch with helping future generations become financially savvy and smart. But you’re not like everyone else. You’re looking for how to take control of your financial destiny with confidence and strength: From spending habits and needs, to your Loans/Debts, and your investment portfolio (If you don’t have one, you’re not alone, nearly 60% of Americans under the age of 35 have ZERO to $25k saved/invested towards retirement). Today, right now, we will take a look at a few simple things you can do to take massive action towards YOUR new financial life. “Average”, or “mean”, is the “Total of all the amounts from ALL participants in a study, divided by the total number of participant in the study”. “Median”, on the other hand, is taking the numbers from the data, putting them in order from smallest to largest, and taking the TRUE middle number(s) from all of the data points. So if we were to have 151 participants, the median number would be the 76th participant. While the AVERAGE at age 30-34 doesn’t seem that bad, at around $24,500 saved, the actual MEDIAN is just $700!!!!! These are some staggering numbers…. And they don’t get any better as you go to higher age groups! The median numbers through all age brackets in the data are not even enough to cover the average Americans expenses for 1 year, let alone many years of retirement! If you didn’t notice, there is a cool little calculator about halfway down the page, so you can see how you stack up. Unlike other posts on the interwebs, we’re going to go a little more in depth, so you have clear and concise actions that you can take right away, to help you learn about financial literacy, fast! While nearly every financial guru will tell you to start by making a budget, I personally cannot stand the damn things and hate them with a passion. So, in my house we don’t call it a budget, we call it a “monthly expense accounting”, and it is NOT a budget! Ok, ok, it’s actually a budget, we really do need those, but I call it something else to make me feel better, thought maybe you’d like to do the same. WHY did I spend $ on this? Some will be obvious, like rent, municipal taxes, electricity, and water. But others, while you may say you need it, are actually luxuries to have. Now let’s take a second and be really, really, really, real here. A. Lose having a reasonably priced roof over your head? B. Starve to death/ become so dehydrated you would die? C. Have serious medical complications that put you worse off if you didn’t have it? Be completely and brutally honest here with your expenses, and track EVERY single penny you spend for 1 month, putting them into an excel sheet, or down in a notebook under big categories such as “Food, clothes, medicine, housing, electricity, utility bills, random stuff I saw and had to buy, and electronics”. At the end of the month, tally them all up, and figure out what is ABSOLUTELY necessary to your survival (I can tell you with 100% confidence that NO your $4.50 latte in the morning from the local café is NOT a necessity… I cut those out myself and saved over $1k in one year. While it was hard the first 2 weeks, I found myself less stressed in the mornings, and found a lot of great uses for that big chunk of change!). WHEW! There is a lot here! To recap, so far you’ve taken a strict accounting of what you’ve spent for a month, broke it down into categories, and figured out where and WHY you were spending your hard earned cash. Next, we want to take a careful look at what your actual basic living needs are, and figure out what your expenses breakdown should look like. If you’d like a bit of a “cheat-sheet” to help you speed up the process a bit, you can check out Ramit Sethi’s Blogpost talking about exactly this, and even giving you a free excel worksheet to do it. One of the big things I love about Ramit Sethi, is that he is absolutely real about things, and doesn’t put you into a restricted/limited mindset. Instead, he helps you cut the crap, understand what’s important to you, gives you the OK to spend a little more on things you actually enjoy (within reason), while cutting in areas that you don’t really care about. BOOM! Sign me up! Now, here’s the thing about what I call “Conscious spending”, when you get into it, and you see yourself as cutting in areas that don’t really matter to you, and getting to things that do i.e. week-long vacation at a 5 star hotel in Greece, you’re far more motivated to save for it…..which leads you to be more motivated to save for things like retirement. This last part is really important, as your EARNING POTENTIAL is far higher at a younger age, especially when you’re single. This is a gift that so many of my friends wished they had tapped into 10-15 years ago, and are really regretting now. While many pundits suggest saving 10% as a minimum, I recommend figuring out how you can save 20-25% of your earnings, as this will put you far and ahead in the game (if you are single. If you’re married or married with kids, aim for 10-20%). How do you even start thinking about saving 10-25% of your monthly take-home? I’m glad you asked….. This is something that many of those of us born after 1976 in the US seem to miss: LIVE WITHIN WHAT YOU EARN. Up until the financial crisis of 2008, it was SUPER easy to get a credit card at low introductory APR’s (how much interest you pay each year). There were even tens, if not hundreds of bank and credit card reps on college campuses, working like dealers out on the street, offering college student’s free stuff to sign up for credit cards. Yes, credit is like a drug, one that can have serious long-term effects on your life. This is something that many of us struggle with nowadays, especially with the spending habits of the “new age” & technology. Smartphones are “outdated” after 1-2 years, and our PC’s, well, they seem to need to be replaced almost every year. And a social life? Who can live without a social life! You have to go out to the bars/clubs/restaurants with your friends and be social, right? This term has been pushed on us since the 1960’s, where even the incredibly popular cartoon “The Flintstones” had Fred, Barney, Wilma, and Betty all yelling it at the top of their lungs as they barreled out to purchase something new. But if you want to have great financial literacy and health, we need to start by living within our means. To be 100% honest, the first 300 or so times I heard this from my dad, I simply shook my head in agreement, said I understood, and then walked away thinking “He doesn’t get what it’s like nowadays” or “But then I can’t buy/get/go X”. Thankfully I got the financial poop knocked out of me when I still had enough of a safety net to get me upright again, but you do not want to get into that kind of situation. Plan your work, and work your plan. When you know EXACTLY what you’re doing, and where you’re going, it allows you to either “Eat the elephant one bite at a time” (sorry vegans and animal lovers, it’s just a saying! ), or to take massive strides forward. Speaking of which, step #4 is a proverbial elephant but can have massively powerful effects when done properly. 4. Pay down your debts, NOW! On my own financial journey, this was one of the HARDEST things to do, as each month it seemed like I could barely “afford” the monthly minimums. That was until I realized how much more I was paying on the original amounts! While credit card laws have changed here in the USA and they are now required to put on each month’s statement how long it would take you to pay off your debt with just the minimum payment, as well as how much you need to pay each month to be debt free in 3 years, it’s still tough for other debts which many of us carry, such as student loans. Let’s be honest about this here, I had read about 8 different books about financial literacy, including Robert Kiyosaki’s Rich Dad, Poor dad, JL Collins’ “The Simple Path To Wealth, and Tony Robbins’ “Money, Master the Game”, but while these books help get me started on saving and investing, it wasn’t until I read Ramit Sethi’s “I Will Teach You To Be Rich” that it would click that I was paying my credit card companies literally THOUSANDS OF DOLLARS A YEAR, by not making larger payments on my credit cards than the required minimums. You see, by design, credit cards are there to make the banks and companies that issues them massive amounts of money. They do this by charging us interest on every penny that remains on our balance sheet at the end of each billing cycle. And while in years past 6.9% and 9.99% were seen as ‘Outrageous’ amounts of interest to pay, these rates of years past now pale in comparison to the 13.49-24.99%+ which permeates throughout the credit card industry, beyond the ‘introductory rate’ time period. In my opinion,this is robbery, and one of the many reasons I’ve put nearly every single recurring payment I have to come out automatically from my bank account, or from my debit card/PayPal debit card. This helps keep your checkbook balanced, and you living within your means. With the exception of a few minor payments, which get paid off at the end of each billing cycle, which we will discuss next. If credit cards are so bad why don’t you just close all the accounts and live by cash/debit card? This is where modern society makes it tricky. Let’s say you’ve paid off all your debt: Student Loans (these are also incredibly deadly to your financial well being! ), credit cards, auto loans, mortgages, etc. But it’s been a few years and you’ve saved up enough to put 2/3 payment down on a house and want to get a mortgage for the rest, although you plan on paying if off in 5-8 years. You walk into the bank expecting to get this AWESOME rate on your mortgage, only to be devastated by being told “your credit score is too low”. It’s a rigged game I tell ya! To put it in short: you need to play the game by their rules, in order to win. Speaking of winning the game….don’t ever, ever, ever, ever miss a payment or pay late on your credit card! I made this mistake, not once, but twice before reading his book “I Will Teach You To Be Rich”, and learned the really hard way that you are pretty screwed at that point: Your interest rates go way up (mine went from a friendly 7.99 to 18.99%), as do your monthly minimum payments (mine nearly tripled!). Don’t do it. Set a reminder, set 5 reminders, get a high school marching band to practice on your yard or in your living room at 5am 10 days before your payment is due….I don’t care what you do, but make sure you never miss a payment! Until you pay off your credit cards debt and student debt, these companies own you. Make it your job to intelligently pay off your debts as quickly as is financially possible to do. There are a number of strategies to pay off your debts: From Robert Kiyosaki’s “Choose one credit card and pay $100 more than the minimum each month”, focusing all of your paying power on the biggest, or smallest debt to help you make progress (If you cannot afford $100 more than the minimum payment, pay as much as you can on that ONE account, and get that debt paid off as quickly as possible. There is a ton of power in focus!). 1st payment is immediately upon receiving the bill. This pays off your interest on the account. 2nd payment 5-10 days later (but before the due date). This pays off the principle ( original purchase/balance). 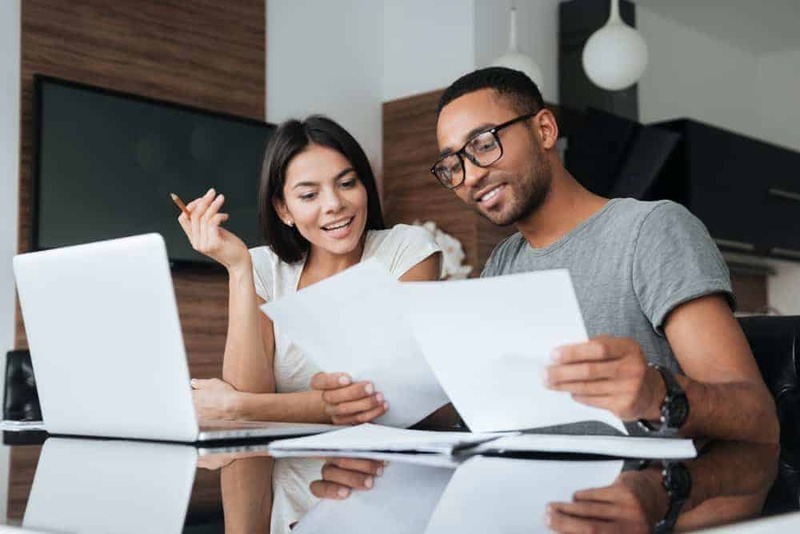 No matter how you cut it, paying off your debts is incredibly vital to your financial health, and the understanding of how that debt can hurt you significantly boosts your financial literacy. Check out www.Dinkytown.net for calculators to help you figure out the best game plan for you, and paying off your debts. Looking back, it’s incredibly scary to think how naïve I was, and how far back it put me behind the 8-ball…. Investing, when done properly, is simply forward thinking. Recognizing that one must plan ahead for the future, while one’s earning potential is big. Investing doesn’t, and in my opinion shouldn’t be complex or sophisticated. In fact, one of the legends of Wall Street of recent, Jack Bogle, talks about how it’s the simple index investing strategy that can have fantastic results in the long run, when done right. There are a few rules that one should follow, including balancing your investment portfolio between stocks and bonds (one is more volatile than the other), and putting the time in to think about and formulate your own personal game-plan for investing…and sticking to it, no matter what. Don’t get caught up in the latest “hot” thing, such as Bitcoin, and blindly invest in something that everyone is talking about, but that everyone- and especially YOU- don’t fully understand. He sticks with what he knows, and knows well, as it allows him to better read the situation. This is incredibly important, especially today, as the stock market prices can fluctuate significantly in day-to-day trading. Complexity doesn’t win over the long run, simplicity does. But you can’t win if you’re not playing the game. Start simple, and avoid fees (anther mistake I made, thinking I was “smarter” by investing small amounts in different investments….Please don’t make that mistake and burn your money on fees! ), by investing with Vanguard or any other fee-free brokerage house. To learn more about investing I strongly suggest you start by reading Jack Bogle’s “Little Book of Common Sense Investing”, JL Collins “Simple Path to Wealth”, and Ramit Sethi’s “I Will Teach You To Be Rich”. These books are packed with tons of great information and will increase your financial literacy even more. Having been through this process myself, I can tell you there is nothing even close to finally understanding how money can work for you or against you, that you CAN save and invest, and that you ARE CAPABLE of taking the wheel of your financial destiny with strength, courage, and confidence. It’s a WHOLE new world, and it’s waiting for you. So what are you waiting for? Let’s get started! Were these financial literacy skills helpful? Share below what made the biggest difference to you! Really happy to hear that Patrick! Any other questions in this area? I’m looking to expand on this post a little, and having specific questions from you would be great!